Among the many consequences of human-caused climate change is a change in the pattern, incidence and location of some diseases spread by biting mosquitoes, ticks and flies. These diseases pose a significant public health challenge globally, including in the United States. 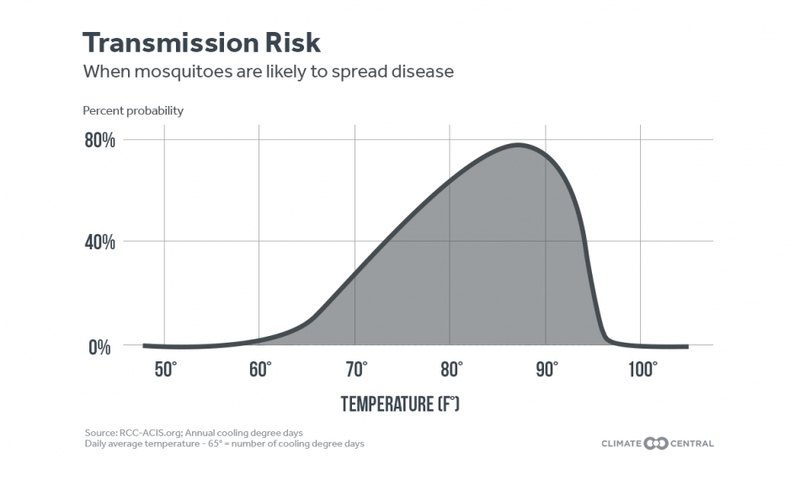 The number of mosquito “disease danger days” is increasing across much of the U.S. as temperatures rise, representing a greater risk for transmission of mosquito-borne diseases. And even though mosquitoes are often just an itch-inducing nuisance, the consequences can be deadly. Mosquitoes are major carriers of these diseases, with a variety found throughout the U.S. While Culex mosquitoes are found across the United States, two species, Aedes aegypti and Aedes albopictus, which carry some dangerous diseases and thus are the subjects of many studies, have a more limited range in the U.S. These two species tend to be found in the South and Southeast, though the former’s range extends into California and the latter’s range extends northeast towards New York and New England and has the potential to exist in the Midwest. Although other species of Aedes mosquitoes exist, in the remainder of this report, Aedes will refer to only Aedes aegypti and Aedes albopictus. Diseases spread by mosquitoes are known as “vector-borne diseases,” as they are spread by an infected agent that serves as the “vector.” There are nine diseases carried by Aedes and Culex mosquitoes reportable to state and territorial health departments in the U.S. — seven of these nine diseases have already been transmitted in the U.S. Both types of mosquitoes transmit West Nile virus, with cases in all 48 continental states since its introduction to the U.S. in 1999. Aedes mosquitoes also carry other dangerous diseases such as dengue, Zika, chikungunya, and Yellow Fever, while Culex mosquitoes also transmit St. Louis Encephalitis and Eastern Equine Encephalitis viruses. These diseases are more often found in U.S. territories (like Puerto Rico) than in the continental U.S., but there has been limited transmission of Zika, dengue and chikungunya viruses in Texas, Florida and Hawaii. And while these diseases may not always be life-threatening or even present symptoms, there can be serious consequences without proper medical care. In addition to needing the proper climatological factors for the mosquito to survive and transmit disease, there needs to be the establishment of the disease in the first place — having the proper climatic conditions, a critical density of mosquitoes, and the conditions for the sustained cycle of disease transmission itself. And, in order to transmit disease, a mosquito must bite twice — once to acquire the disease themselves, and a second time to pass it on. The largest number of these twice-biting mosquitoes were produced at 75 degrees Fahrenheit. Regardless of mosquito type, there's an elevated risk of disease transmission when temperatures are between 61 degrees and 93 degrees Fahrenheit. 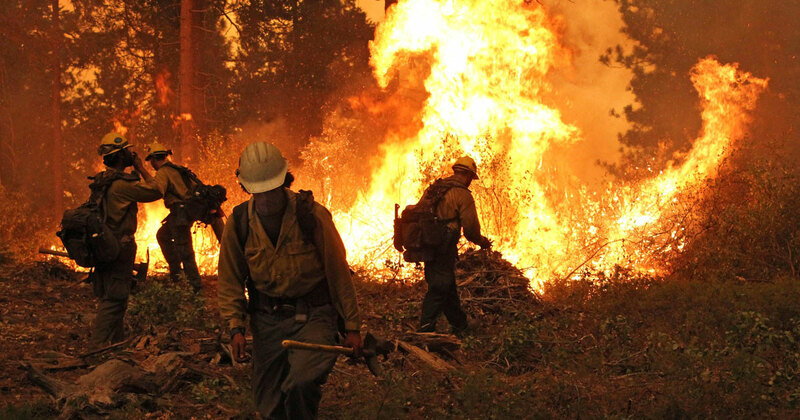 Climate Central analyzed the number of days with temperatures in the risk zone during spring, summer and fall. Of the 244 cities, 94 percent (229 cities) have an increasing number of disease danger days. 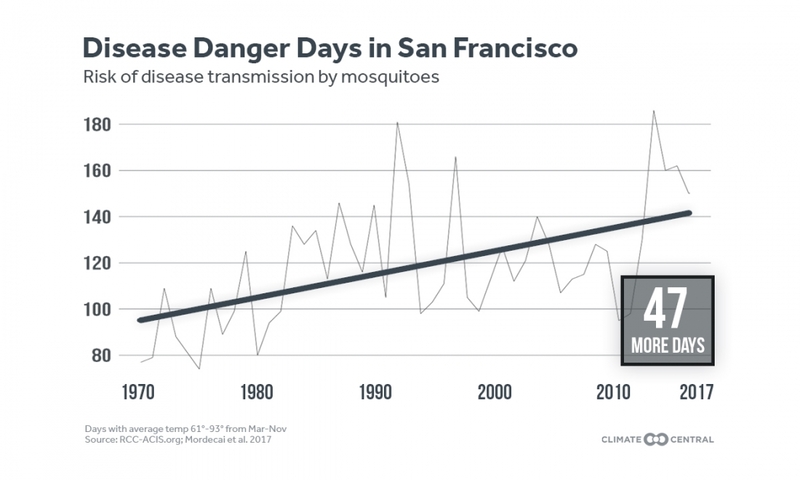 Three California cities (where both types of mosquitoes have already been found), rank numbers two, three, and nine on the list of biggest increases in disease danger days. Other cities in the top 10 list include southern and southwestern cities like Las Cruces, New Mexico, El Paso, Texas and Tucson, Arizona, where temperatures are suitable for mosquito survival and some disease transmission already occurs. Our analysis suggests that since the 1970s, the risk of disease transmission in these cities has been increasing due to rising temperatures. A few northern cities also make this list of greatest increases in disease danger days, including Helena, Montana, and Erie, Pennsylvania. Other northern cities that didn’t make the top 10 list but have a large increase in the number of disease danger days are located in states such as Idaho, Vermont, Washington, New York and Michigan. Some cities in these states are notching more than 20 additional disease danger days, demonstrating the wide-reaching threat climate change holds. Of the possible 275 days analyzed for this report, Honolulu and San Juan fall in the disease transmission zone for the entire stretch. In fact, dengue transmission is possible year-round in San Juan. Importantly, climate change may also actually make some locations too hot for mosquito survival and disease transmission. For example, there are fewer disease danger days in Phoenix since 1970. 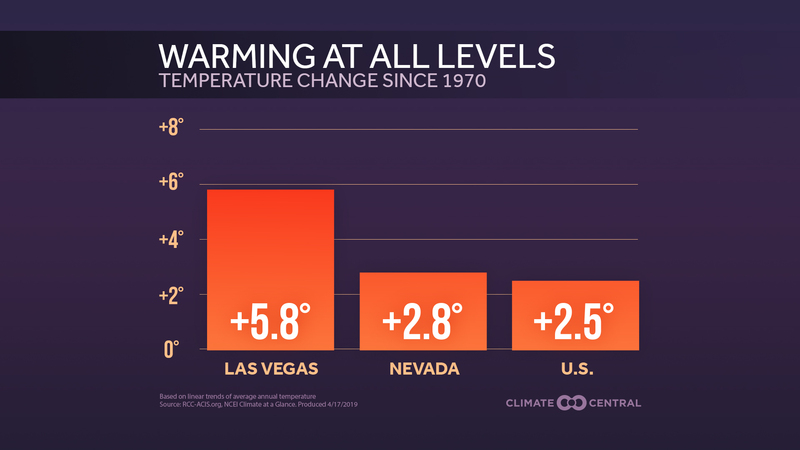 This is likely because the number of days above 95 degrees Fahrenheit in Phoenix is also going up, and 95 degrees is beyond the range of disease transmission. Out of the 244 cities in the analysis, only 12 (5 percent) are seeing a decrease in the number of disease danger days during this time period. Honing in on transmission, rates for mosquito transmitted diseases peak between 79 degrees and 84 degrees Fahrenheit. Of the cities analyzed in this report, Honolulu has the greatest increase of days in the peak range, with an additional 36 days each year, on average, during spring, summer and fall. Many of the other cities recording additional peak transmission zone days are in the Southeast, such as Raleigh, North Carolina and Atlanta, Georgia (26 and 25 additional days, respectively). Though 88 cities have a decline in days in this peak range between 1970 and 2017, many of these are still seeing an increase in the number of days in the total transmission range. Also, a number of cities with fewer peak days may also simply be getting hotter than this range, as with Phoenix. Our analysis did not consider winter temperatures, and in some of the cities analyzed, diseases can still be transmitted during that time. As climate change increases temperatures during winter months, transmission could become possible year-round in some places across the continental U.S., beginning with South Florida. Temperature plays a major role in the viability of mosquitoes’ range and survival, and can affect mosquitoes at every stage of their life cycle. Because of this, rising temperatures due to climate change are changing mosquito habits and disease spread. For Aedes mosquitoes, development and survival is limited to temperatures above 50 degrees Fahrenheit and below 102 degrees for Aedes aegypti, and above 59 degrees but below 95 degrees for Aedes albopictus. For these two related species, peak rates for various parts of their life cycle generally occur between 73 degrees and 93 degrees. Culex mosquitoes thrive in temperatures between 50 degrees and 95 degrees.. Though adults survive for the longest time at temperatures between 60 degrees and 68 degrees, studies have found that they develop fastest at temperatures between 82 degrees and 89 degrees. Hotter temperatures also generally decrease the time it takes for a virus to be transmittable from the mosquito to humans. Rising temperatures shorten how long it takes for the virus to develop inside the insect, known as the Extrinsic Incubation Period (EIP), which increases the number of mosquitoes that survive long enough to become infectious. Each virus has a unique EIP which is optimized at a different temperature. For example, the EIP of dengue virus is shortest at 95 degrees. Increasing temperatures have been shown to increase West Nile virus infection, dissemination and transmission rates up to at least 89 degrees. Zika virus’s optimal EIP and range go even hotter — peaking at 97 degrees.. Mosquitoes carrying the Zika virus would still become infectious at 108 degrees, except mosquitoes themselves cannot survive in that heat. Still, by changing life cycle rates and EIP, temperatures alter the transmission rates of these dangerous diseases. Overall, the number of mosquito disease danger days is increasing across much of the U.S., representing a greater risk for transmission of mosquito-borne diseases. Dengue, Zika, chikungunya and West Nile viruses all represent significant health threats globally, and while they are currently limited in the U.S., could become more major problems if climate change is not abated. A Zika virus epidemic began in May 2015, spreading through parts of South America, Central America and the Caribbean, including Puerto Rico. Though the continental U.S. managed to escape the worst of the epidemic, nearly 6,000 cases were still reported. This epidemic brought the major health complications that mosquito-borne infections can cause to the forefront. With the expected expansion of Aedes mosquitoes’ ranges in North America, especially in eastern North America, it is possible that transmission of Zika virus could be seen in those places in the future. The land area of the U.S. most suitable for Aedes albopictus mosquitoes is projected to increase from 5 percent to about 50 percent by 2100, putting 60 percent of the northeastern U.S.’ population at risk for the diseases carried by this mosquito, including West Nile virus, dengue and Zika. 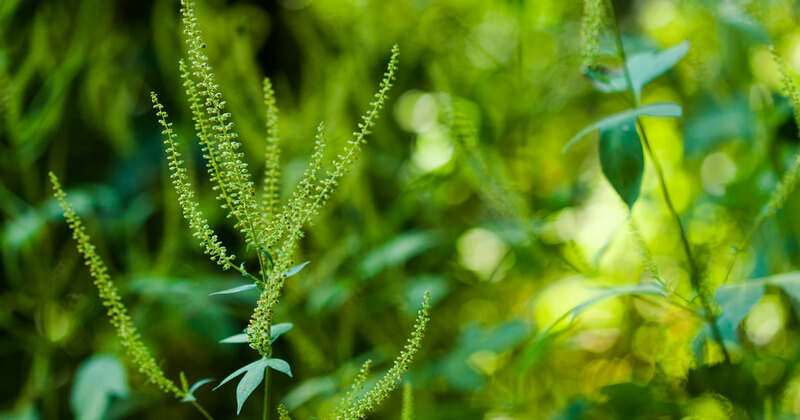 Overall, West Nile virus transmission in the U.S. is also projected to increase due to warmer temperatures and less precipitation from climate change. Social and health care infrastructure could assist in limiting disease spread. For example, it is likely because of social factors such as housing infrastructure and public health services that we do not see the same level of dengue transmission in South Florida that occurs in San Juan, considering that the climatic conditions of the two locations are similar. Methodology: Temperature trends were calculated using average daily temperature data from the Applied Climate Information System (rcc-acis.org). Years with more than 30 days of missing data were excluded from the analysis. The temperature range of disease transmission (61-93ºF) as well as the range for peak transmission (79-84ºF) were chosen based on the findings in Mordecai et al. 2017. Climate Central's Jennifer Brady contributed data analysis for this report. We gratefully acknowledge Marta Shocket, postdoctoral scholar in Erin Mordecai’s lab at Stanford University, for reviewing the analysis and providing feedback on an earlier version of this report.